November 3rd is National Sandwich Day and we can’t think of anything else we would rather celebrate. When it comes to lunch, you simply can’t beat a sandwich. What other menu option do we have that is easy enough to make that most kids can make their own, portable enough to take just about anywhere, and flexible enough to enable everyone to have exactly what they want? It is easy to see why the sandwich is so synonymous with lunch! Get in the spirit for National Sandwich Day with these fun facts and ready-to-make recipes featuring the sandwich. 1. Ever wonder where the sandwich got its name? It is named after the man credited with creating the first sandwich, John Montagu, the fourth Earl of Sandwich. Legend has it that he was unwilling to free up both hands during a 24 hour gambling event in order to eat. Instead, he asked his servant to put the meat from his meal between two slices of bread so he could hold it in one hand and continue gambling. Ease, convenience, and portability right from the start! 2. Do you know what the most popular sandwich in America is? 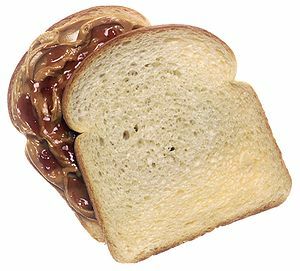 If you guessed peanut butter and jelly, you would be close since on average, we each will have eaten about 1,500 PB&Js by the time we graduate from high school. The most popular sandwich is the plain, ordinary ham sandwich followed by second place finisher the BLT. 3. How many sandwiches do Americans eat every day? It might seem strange, but Americans eat more than 300 million sandwiches each and every day. This is an amazing statistic since there are slightly more than 300 million Americans and not everyone eats a sandwich everyday! 4. What sandwich helped keep Americans fed during the Great Depression? With the price of peanut butter today, you may not believe it, but the PB&J offered a lot of nutrition for a low cost. This was due in part to two crucial advances in food delivery, the development of the process for making peanut butter and the adoption of the process for pre-slicing and packaging bread. These two advances made the necessary ingredients readily available at a reasonable cost just in time to help feed the families struggling through the depression. 5. Why do we call sandwiches served on oblong rolls subs? You might think it is because the rolls themselves are shaped kind of like submarines but that is not where the name comes from. Legend has it that during World War II, a deli in New London, Connecticut got an order for 500 hero sandwiches from a local Navy submarine base. As a result, the employees of the deli started referring to the hero as a “sub”. The name stuck and in most parts of the country you are more likely to see subs on the menu than heros. 6. What world records are related to sandwiches? There are several world records tracked by Guinness related to the sandwich. The most expensive sandwich ever sold was a grilled toast sandwich that seemed to have an image of the Virgin Mary on the toasted bread which sold for $28,000 in 2004. The longest sandwich, created in Italy in 2004 was 2081 ft. The largest sandwich ever made weighed 5,440 lbs. The year, the record for the most sandwiches being made simultaneously was set in New York City by Subway restaurants who had 254 people making sandwiches at the same time. Making up your family’s favorite sandwiches is a great way to celebrate National Sandwich Day. Don’t have a favorite sandwich? Try one of ours! This entry was posted in Food Facts, Fun Food Facts and tagged cooking, Home, New York City, peanut butter, Sandwiches, Subway, United States, World War II. Bookmark the permalink.